Melon was on sale at the grocery store on Friday and I bought one to have for lunch on Saturday. 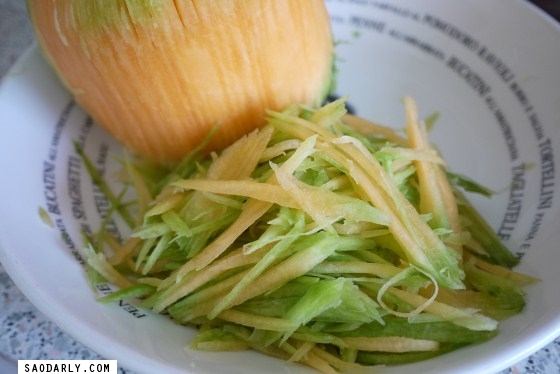 After finishing up my chores I was ready to treat myself to a bowl of sweet melon. 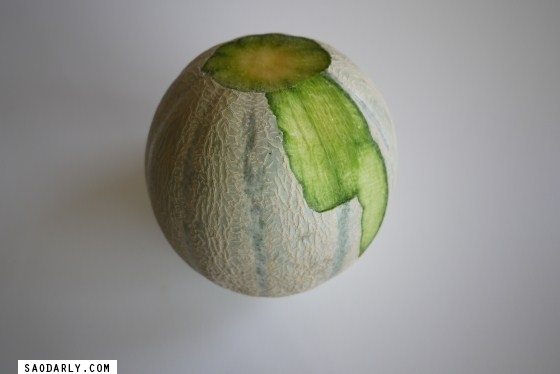 To my surprised I bought a melon that was not ripe enough. I’m not used to this type of melon which is not as soft like a Honeydew melon or Cantaloupe and I tried my best to select a ripe one the way my mother taught me. But since I’m suffering from a cold it doesn’t help me much trying to sniff a melon. Trying to squeeze it didn’t help either when the entire box of melons were all stiff. 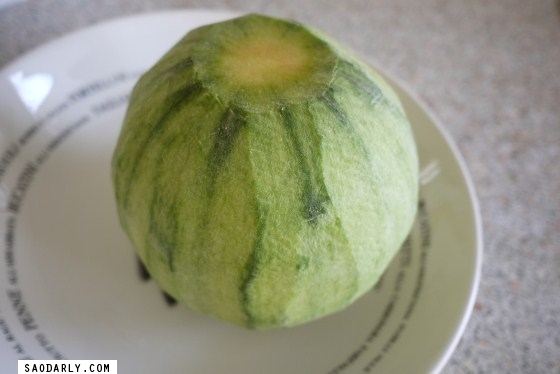 I thought about my parents growing melons in their garden and how we would make Tum or Spicy Salad out of the various melons before they turned ripe. 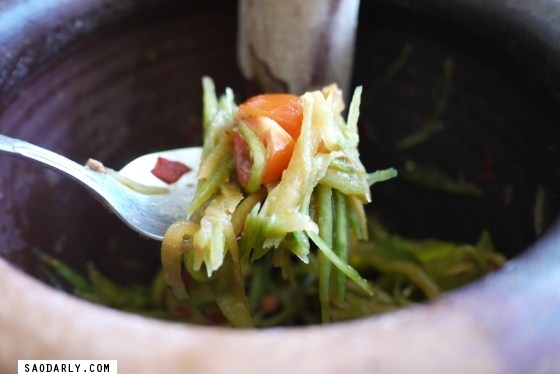 We didn’t grow this type of melon but I thought it would not hurt to try making Spicy Melon Salad out of it. It was really delicious and it doesn’t have as much liquid as a typical cucumber. 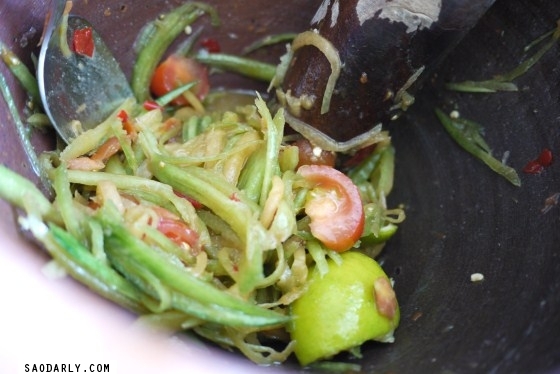 The Spicy Melon Salad was as crunchy as Green Papaya Salad. 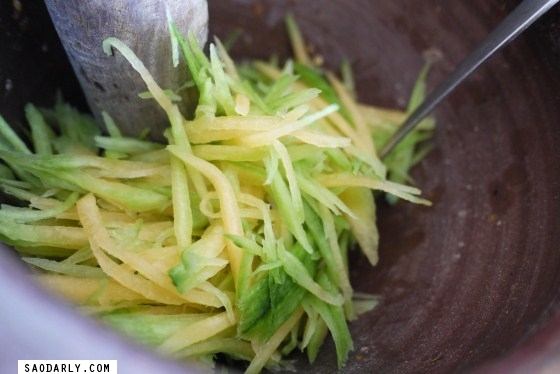 I will add Spicy Melon Salad to my list of various types of spicy salad I can make as an alternative to the more costly Green Papaya Salad.